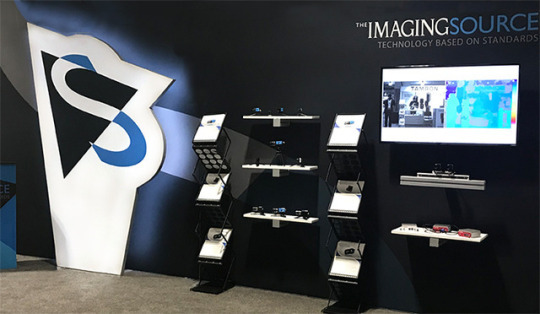 As North America’s premier trade show for machine vision and imaging components, The Vision Show offered an array of the newest imaging technologies as well as networking and educational opportunities. The Imaging Source presented its newest USB3 Vision compliant USB 3.1 (gen. 1) industrial and USB 3.1 (gen. 1) board cameras featuring the latest Sony sensors (including IMX287/IMX273 and IMX255/IMX253) as well as its 3D stereo system and 3D software SDK IC 3D. 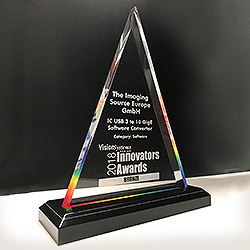 During the show, The Imaging Source was proud to receive a bronze-level 2018 Innovators Award for IC USB 3 to 10 GigE Software Converter – software for the conversion and transmission of image data from a USB 3 camera to a 10 GigE interface.